MacGregor, part of Cargotec, has received orders to optimise the container carrying capabilities of 31 MSC Mediterranean Shipping Company vessels from six different ship series. The work is designed to optimise ships' cargo system productivity and earning potential. The orders were booked into Cargotec's third and fourth quarter 2017 order intakes and deliveries are planned for completion towards the end of 2018. "Container vessels are an integral part of the whole transportation value chain, maximising their cargo system flexibility makes optimum use of available cargo space with any given cargo mix. This ensures that the greatest payload can be carried," says Leif Byström, Senior Vice President, Cargo Handling, MacGregor. "Filling empty slots increases revenue for shipowners and operators and reduces emissions per transported cargo unit." With a fleet of 490 container vessels, privately-owned MSC is a world leader in global container shipping. For many years MSC and MacGregor have enjoyed a long and cooperative relationship and numerous MCS vessels are equipped with MacGregor solutions. "MacGregor's expertise in cargo systems and its continuous development of new innovations is highly appreciated," says Giuseppe Gargiulo, Head of Department, New Building, Dry Dock and Conversions, MSC. "Its solutions greatly improve our ability to compete in the current business environment." "Over the years we have developed a close collaboration and a good understanding of MSC's cargo handling needs," notes Atte Virta, Naval Architect, Cargo Handling, MacGregor. "Through this work, together we have identified new ways to increase MSC's cargo carrying capacity and competitiveness; critical in today's challenging shipping market." Upgrade work on the vessels will be carried out under a MacGregor Cargo Boost service, part of its PlusPartner concept, which is designed to improve the earning potential of existing containerships. The upgrades include an individual plan for each vessel, with a focus on improving earning potential and efficiency. 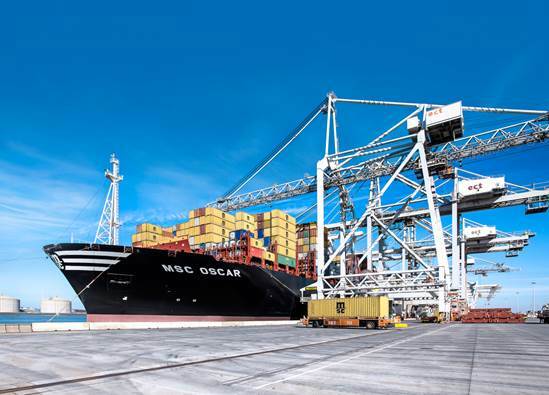 "Each cargo system upgrade has been carefully designed with MSC," explains Mr Virta. "The vessel type and their service deployment have been considered in detail. This ensures optimum cargo system flexibility and efficiency, which maximises the vessels' earning potential and return on investment." MSC and MacGregor have agreed not to disclose the contract value or other contractual details. Work will be carried out on a rolling schedule with all vessels expected to return to service by the end of 2018.